The brown envelope from HMRC has arrived but is currently buried somewhere at the bottom of your filing tray waiting to be dealt with at a later date. Sound familiar? Here are five reasons why this approach may be a little short sighted and why you should start thinking about your self-assessment tax return now. There are two deadlines in relation to filing your self-assessment tax return. 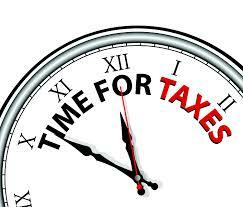 The deadline for filing on-line is the 31st January 2015 (following the end of your tax year 2013/14). If you want to submit a return on paper you can choose the earlier deadline of 31st October. Early submission of your tax return holds many advantages. By submitting your return early you will be told by HMRC the amount of tax that you owe – this will allow you to plan and budget for your tax bill. If you are owed a refund you will receive it earlier. Remember that submitting the return early does not mean that you pay early. The deadline for payment is still the 31st January following the end of the tax year. Don’t underestimate the time that getting your accounts and tax records up to date and correctly filed can take. If you business activities are seasonally strong in the build up towards Christmas you may struggle at this time to deal with managing your business with all it entails and completing your accounting and tax records. Start planning ahead. You can start by working on the completion of your return now or alternatively look into outsourcing the work to a professional to help ease the burden. By being organised and ahead of the game you will inevitably reduce the likelihood of incurring fines. A fine of £100 will be automatically applied for any self-assessment not filed on time, regardless of how much tax may be due. Additional fines are imposed if the return is 3,6 or 12 months late. If you have recently started up in business there is even more reason to be supremely organised with your record keeping and paperwork. For many new business owners managing their finances is one of the most difficult and challenging aspects of starting up. Record keeping is vital. Without accurate records and paperwork to support the records, many small businesses have been hit with crippling fines following HMRC investigations. Get a system in place early. If you are new to self-assessment it is worth seeking professional advice early with regards to what you can and cannot claim against your trading profit. The savings you will make often outweigh the costs involved. This sounds like a mantra from a self help book! Even if you are on top of your record keeping, submitting your return early will give you one less deadline to adhere to and will ensure that you have a more enjoyable and stress free Christmas!